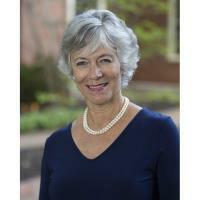 DeRoy recently retired from serving as chair and development director for the Monarch School of New England. She will oversee the state-wide operations of Citizens Count, a nonpartisan civic engagement nonprofit serving New Hampshire. “I am so passionate about Citizens Count,” says DeRoy, of New Durham. “We are determined to make a difference in the way people consume information on candidates, policies, and issues in New Hampshire. This state has the unique position of being the first primary in the nation and having a volunteer Legislature, and I want to make sure Citizens Count is at the forefront of making citizen engagement easier and more effective through our nonpartisan efforts.” An entrepreneur at heart, DeRoy was part-owner and stockholder of DocData New England, an international leader in multimedia during the ‘90s and worked as its national sales and marketing director. Additionally, she was co-owner of Action Title Services and spent more than two decades in banking serving as a vice president of operations and working in commercial lending, and secondary market lending and sales. DeRoy recently stepped down as the chair of the Rochester Economic Development Commission after 8 years, serves on the economic development committee for the Greater Dover Chamber of Commerce, and has served on the board of Leadership Seacoast. Additional community service work involves serving as member and president of Rochester Rotary, Kiwanis, as chair of Sanford Chamber of Commerce, on the Governmental Affairs Committee of the Greater Rochester Chamber of Commerce, and with Habitat for Humanity’s Women Build.